The new generation of Assamese musicians have created a nice for themselves all across the globe. Everyday we get to hear names of people who have either made it big in Bollywood or received acclaim for bringing in new idioms to the field. The latest addition to that list is Rishii Chowdhury – a highly talented and promising table player who is presently breezing through the UK concert halls. When I had first met Rishii a year back along with his equally talented sister Samyami, I had labelled him as ‘Assam’s youth icon’ Watching him work his way up the music ladder today, I am proud to say that I was not off the mark. A rising star in the domain of Indian classical music, Rishii brings a fresh, energetic and exciting approach to playing the tabla. His roots are in Assam, where his mother, Manjira Chowdhury was an All India Radio Artist. From a very young age, Rishii has been performing on stage with his family immersing himself into Assamese folk and devotional music. His role in the Chowdhury family music ensemble ranged from singing and playing maracas to eventually playing tabla and other Assamese percussion instruments such as nagra and khol. With his amazingly charming good looks, he brings a magical quality when he appears on stage and audiences get drawn to him. Being born in the UK, Rishii has been blessed with a unique musical upbringing. The fact that his mother could train him to appreciate traditional Assamese music, even though staying so far away from the homeland, is credible in itself. It is Rishii’s dedication to the art of tabla and pursuit of excellence that has led him to learn from the World’s greatest tabla maestro’s Ustad Zakir Hussain and Pandit Anindo Chatterjee. He travels to America and India to learn from these masters. One of Rishii’s most special moments was when he presented a solo to Ustad Zakir Hussain in 2011. In the UK, Rishii is being mentored by sitar maestro Ustad Dharambir Singh MBE and eminent British Sitarist Roopa Panesar. As well as being deeply rooted in the classical tradition, Rishii has been involved in many stimulating world music projects working with Drum n bass, jazz, Western classical, electronic, reggae and dubstep genres. 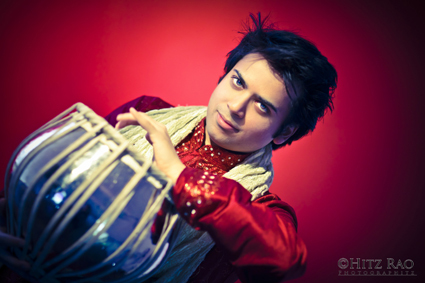 Rishii is also a member of ‘Tarang’, the UK’s National Ensemble for Indian Music created by Milapfest. I wish Rishii the very best in the days to come and hope that he is able to attain newer heights. Meanwhile, for music lovers in the city there is another piece of good news. Rishii will be performing in the city during the Guwahati International Music Festival. So don’t forget to catch him live there!! Coming to one’s ancestral land is always a special occasion. But for this rockstar, it is a homecoming of a different kind. Nostalgia mixed with a plethora of mixed emotions is what has engulfed legendary anti-establishment Bangladeshi rockstar, poet, writer and philosopher Maqsoodul Haque (Mac) ever since he got ready to visit Guwahati. His family on his father’s side hailed from Gorajan and mother from Borholla (both near Jorhat) before his family migrated to the then East Pakistan in 1952. Maqsood was born in Naryanganj, near Dhaka in 1957. “I can hardly contain my excitement Aiyushman. 16 years is way too long a time to be coming back home. Looking forward to seeing you all,” he messages me late yesterday night. His excitement is understandable. And why not, the atmosphere, urgency, emotion and socio-political change reflected in his music all along has over the years engulfed both Assam and Bangladesh in more ways than one. It certainly would be a homecoming of a different kind for him. Mac’s band, Maqsood o’ Dhaka or dHAKA, is today ranked as the most phenomenal and unconventional jazz-rock fusion band to have ever come out of Bangladesh, a country which is known to have produced some of the most respected musicians in the rock circuit. The band, which has all along been at loggerheads with the Bangladeshi establishment, is credited for bringing in a fresh wave of music in the Bangladeshi industry. Mac’s musical career however can be traced back to the late 1970’s. 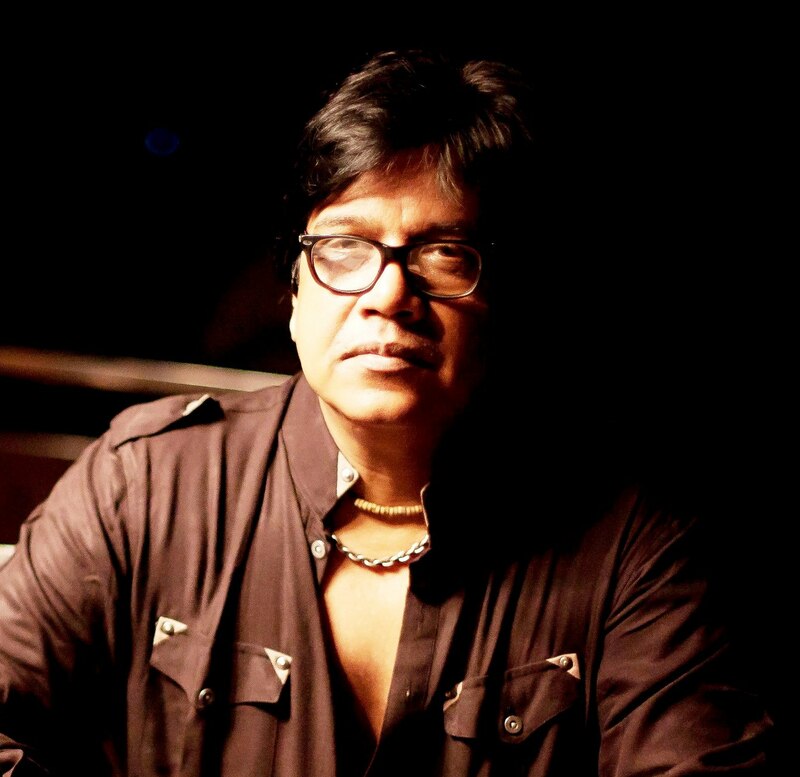 A pioneer in progressive Bangladesh music and a well-known figure among fans in the country’s rock fraternity, Mac performed as the lead vocalist for then mainstream band FeedBack for almost 20 years, before he finally left it in 1996. 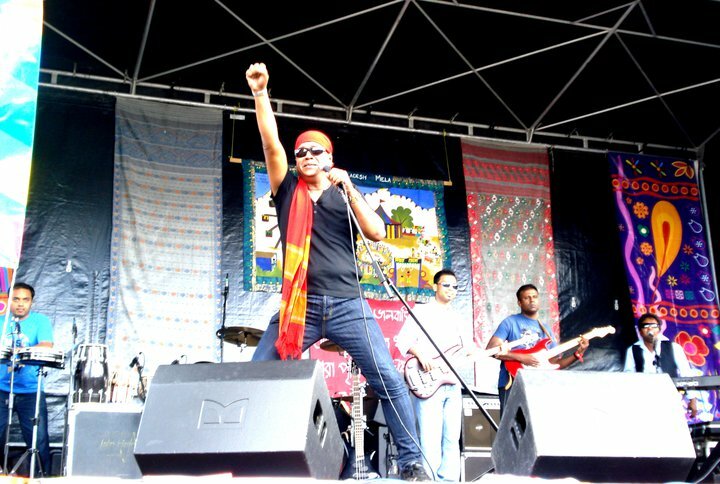 The same year dHAKA, the first ever band from South Asia to fuse jazz and rock with ethnic music from Bangladesh, was formed based on the philosophy provided by Mac’s lyrics and music. A man who introduced genres like funk, reggae and Jazz to traditional Bengali music, Mac’s ethnic repertoire includes more than just Baul music. It has traces of philosophies of varied cultures, including Vaishnavite culture as reflected in the song, Bolai Dador Gumcha – a blend of Fakiri, Murshidi and Kirton. This is possibly the only Baul song to have an Assamese reference. For Mac, it has been a journey marked by constant personal evolution and change. His first band, Feedback, would in the initial stages render western pop, rock and reggae cover tunes to suit the B’deshi crowd’s fixation on dance numbers. As the frontman, he soon established himself as a prominent vocalist and a flamboyant performer, covering over 500 songs from different genres of pop/rock to funk/reggae and on to blues and jazz. Though he was absent from the band’s first album, the second, Ullash (Euphoria), which went on to become a smash hit when it was released in 1987. The album contained smash hits like Chithi (Letter), Chokh and Majhee (Boatman – with strong Assamese folk music intonations) – all penned, tuned and sung by Maqsood. For trivia’s sake, Chithi is the first reggae tune in the Bengali language. The album Mela (the Fair) Feedback’s second album in 1990 was a monster hit and was described as a seminal masterpiece by the BBC for it captures the essence of youthful vigour during Pohela Boisakh, the Bengali New Year. The title track Melai Jairey written, composed and sung by Maqsood propelled him to national limelight, and the Bengalee Pohela Boishakh celebrations in the last 22 years is today considered incomplete without the song. JOAR a compilation of FeedBack hits was released by HMV/EMI in India and 1992 and is the only Bangladeshi band to have been recorded by an international label. dHAKA, on the other hand, has always dwelt more on protest against the issues and tensions prevalent in Bangladeshi society today, that too in a hitherto unknown free-flowing way. dHAKA’s first album was Prapto Boyoshker Nishiddho (Banned for Adults) a thumping rejection of the establishment and status quo. As Ahsanul and Sabir noted, the music Maqsood wanted to pursue had to be a vehicle for him to give vent to his strongly held apolitical views and allow him to raise socio-political awareness of the youth. “Maqsood O dHAKA’s repertoire is a tour de force in which every song uncoils with a passionate voice often delivering maverick messages, facilitated by lightning lyrics, mellifluous melody and more. Clearly, the infernal force of personality of the band front man has much to do with their appeal,” noted the writers. In this present stage of history, Mac’s visit to Assam would certainly make him ponder on new issues and maybe fuel his imagination for more creative outpourings. He will be performing during the 2nd Guwahati International Music Festival in the city and also delivering a seminar-talk on Bauliana music and philosophy. I look forward to meeting the man himself. Recent incidents in the State of Assam have shifted the notice of the entire world community towards the northeastern part of the country. Clashes between indigenous people of the State and illegally-settled migrants from Bangladeshi have literally thrown the socio-political equations topsy-turvy. As Army conducts flag marches in different areas and with people coming out in the streets in large numbers, memories of the Assam Agitation in which many people sacrificed their minds come back into one’s mind. At this time of social unrest, the role of music in healing wounds has once again been brought to the forefront. In a bid to use music as medium to unite the people, a group of young Assamese musicians and writers, settled in different parts of the country, have got together to produce a video, ‘Xisi Diya Rong Hopunor, Gathi Luwa Sur Jibbonor’. Incidentally, Rajdweep, a well known cultural journalist, has also penned the lyrics for the video. 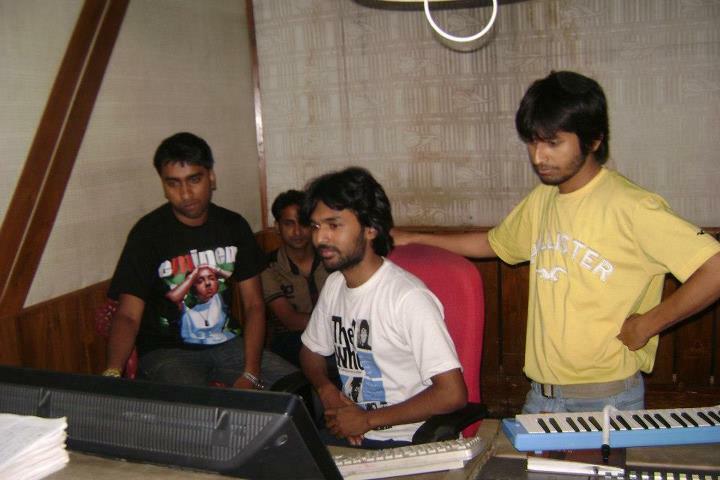 The music for the album has been composed by Anurag, based in Mumbai, while the singer is Neel from Guwahati. The sound production is by Bhaskar from Mumbai while Bitupon from Chennai has created the video montage. Rajdweep further said, “While we know that we wont be able to change anything, we do hope that we are able to make a little difference in the lives of a few. We hope that this journey of ours will continue for a long time to come”. 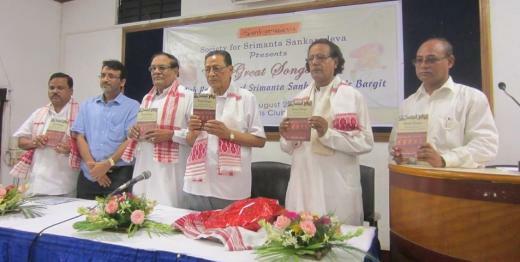 In a bid to promote the legacy of Sankardev across the globe, Sankari scholar Dr Sanjib Borkakoti recently released a book, Great Songs, which is a translation of 35 Borgeets into English. The book was released by former VC of Tezpur University Dr Kishori Mohan Pathak. The book, Great Songs, has been published by the Society for Srimanta Sankaradeva, which aims at creating awareness about the multi-faceted contributions of Srimanta Sankaradeva and to spread the universal message as well as glory of the saint all over the world. The society has been striving to present the works of Sankardeva to the globa audience through its website http://www.sankaradeva.com.